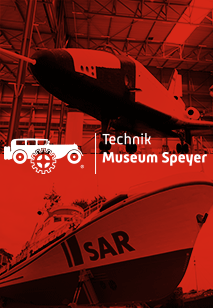 The Technik Museum Sinsheim presents the Joachim “Jockel” Faulhaber extensive racing bike collection. 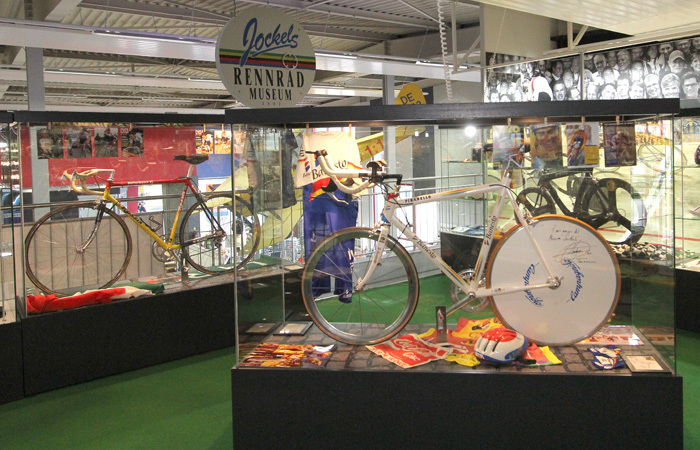 Jockel's racing bike collection is fully integrated into the Technik Museum Sinsheim, and offers an additional attractive highlight besides the Concorde and countless vintage cars. 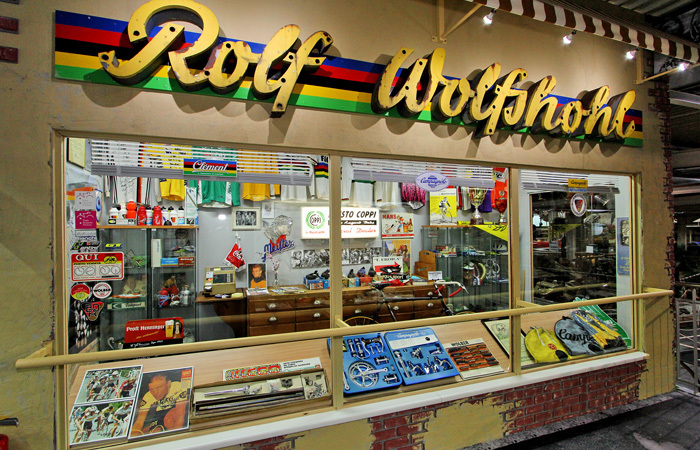 Over 35 years of collecting passion has led to one of the most impressive and diverse exhibits on the theme of racing bikes. 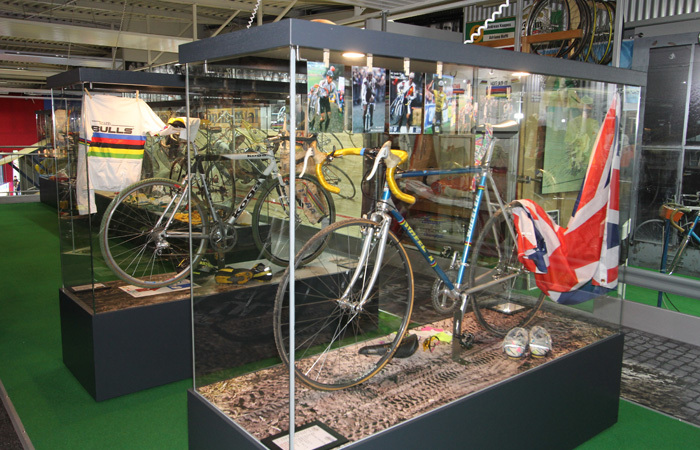 Over 60 racing bikes from road, track, train and cyclo-cross bike racing, ridden by famous cycling stars who have made history in World Championships and the Olympic Games, constitute the core of this comprehensive collection, which has been assembled with great care. 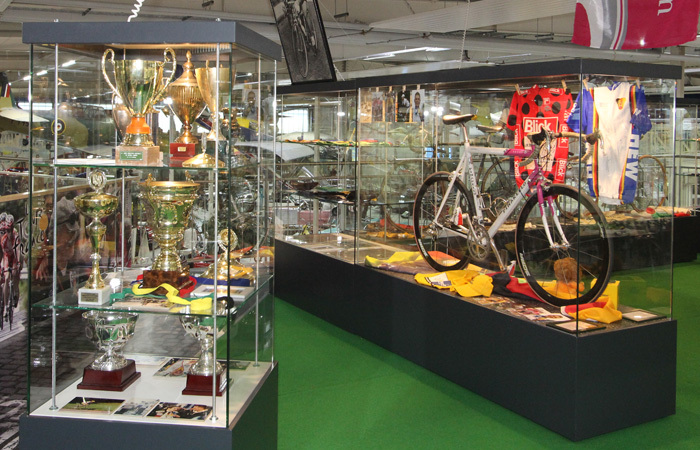 Visitors will find a wonderful collection of original jerseys, cups, and accessories of famous cycling stars, such as Rudi Altig, Miguel Indurain, Jan Ullrich, Udo and Hardy Bölts, Erik Breukink, Reimund Dietzen, Jan van Eijden, Mike Kluge, Hanka Kupfernagel, Karl Link, Sean Kelly, P. Klaus Thaler, Miriam Welte, and Rolf Wolfshohl. 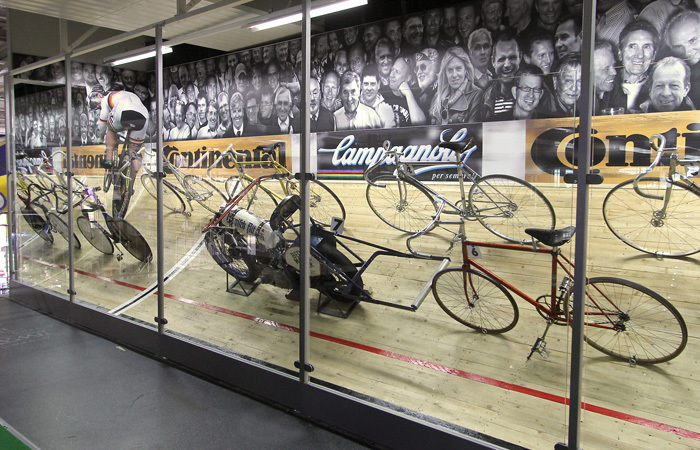 Other highlights of the exhibition include an original racing bike from the Jan Ullrich 1997 TOUR victory in 1997, a time trial bike of five-time Tour de France winner Miguel Indurain, the first and last bike from big career of Udo Bölts, two motor-paced motorbikes and matching motor-paced racing bicycles, a bunk from the Cologne six-day race, a large collection of spare parts for documenting the material development of various cycling eras, various training devices, and much more. 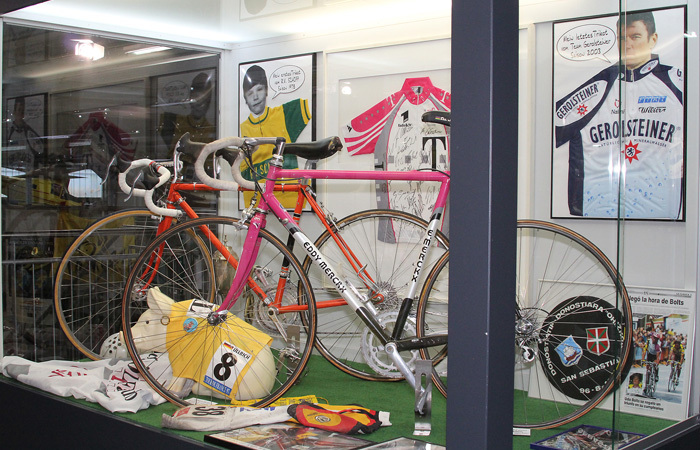 The racing bike collection is a permanently installed exhibit that presents the large scope of the collection in stages. 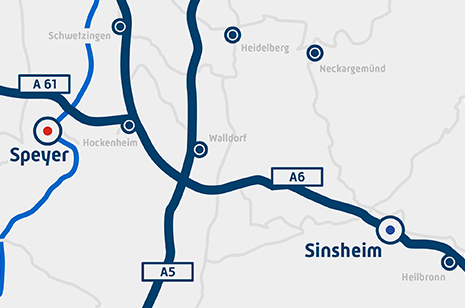 Various temporary alternating exhibitions are planned for the next few years, to the openings of which the respective racing cyclists will be invited. 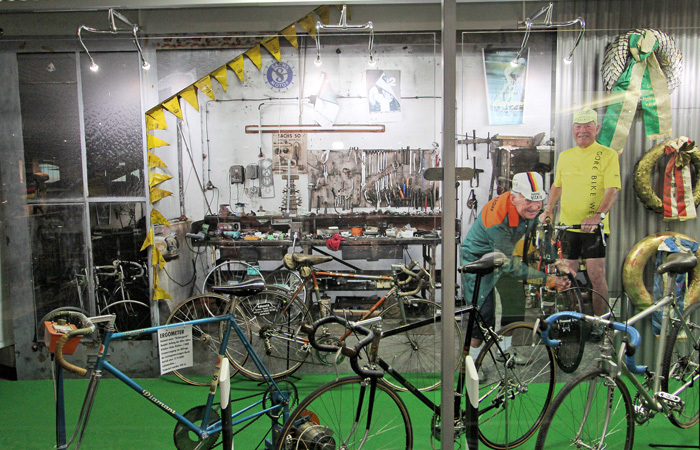 For 2015 a first retro tour is already being planned, in the style of the legendary L´Eroica (Italy). 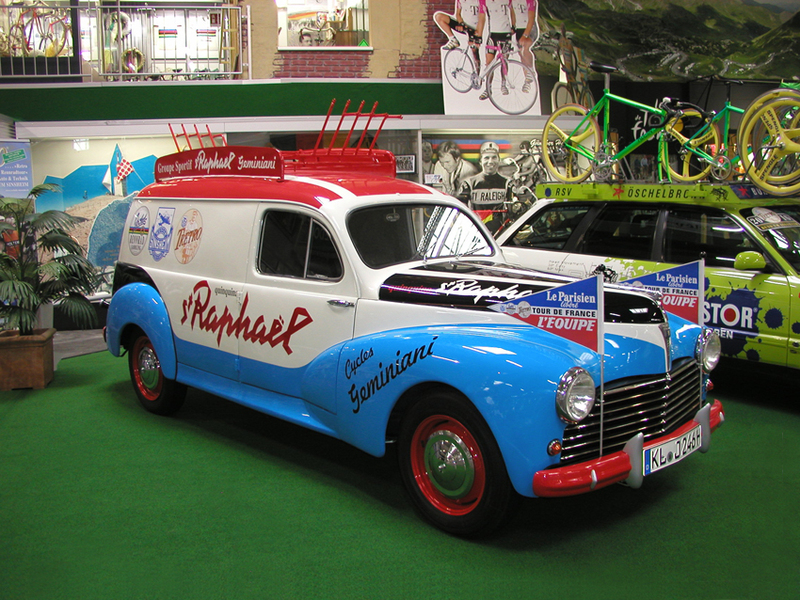 Riders can be seen cycling old racing bikes, true to style in the old outfits, in the Kraichgau area surrounding the Technik Museum Sinsheim.